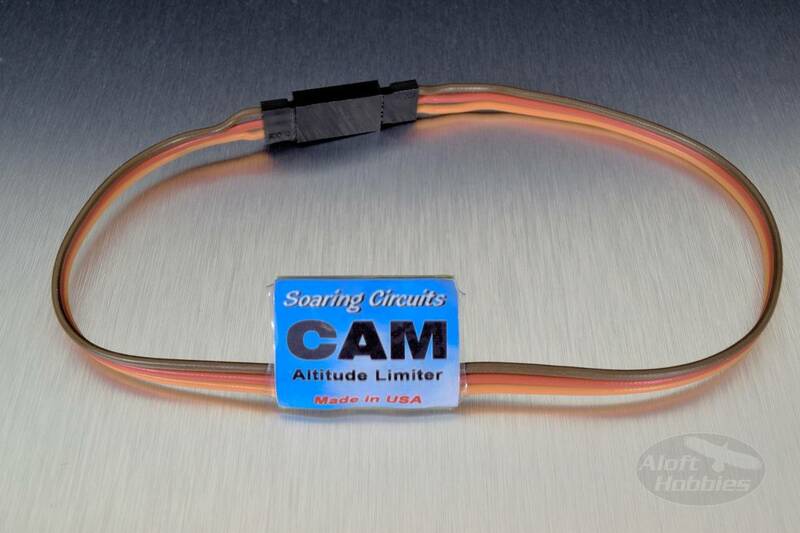 Soaring Circuits, CAM height limiter. Say Hi to the CAM. A lightweight ALES Motor run Switch from Soaring Circuits. The 7gram programmable contest switch, plugs in between your models Rx and ESC. 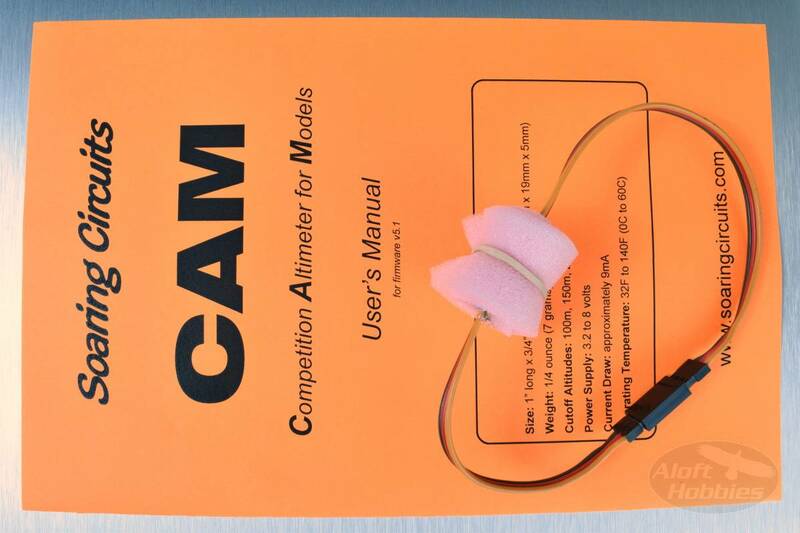 The CAM (Competition Altimeter for Models) can be programmed without being removed from the plane using your transmitter. The CAM can be programmed to limit motor run to three different altitudes or 30 seconds, whichever occurs first. For more information you can peruse the instruction manual here.